How to Apply: Interested candidates can apply Online/ Offline mode Online Mode: Eligible candidates may apply online through the MCL website http://www.mcl.gov.in from 10-03-2014 to 31-03-2014. After applying online, candidate is required to take a printout of the Application Form, sign at thespace provided, paste recent passport size color photograph and send to “The General Manager (A/MP&R), Mahanadi Coalfields Limited, At/PO – Jagriti Vihar, Burla, Dist. Sambalpur – 768020 (ODISHA) on or before on or before 07-04-2014. 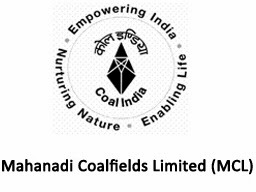 Offline Mode: Eligible candidates can send their application in prescribed format should reach to “The General Manager (A/MP&R), Mahanadi Coalfields Limited, At/PO – Jagriti Vihar, Burla, Dist. Sambalpur – 768020 (ODISHA) on or before 31-03-2014.